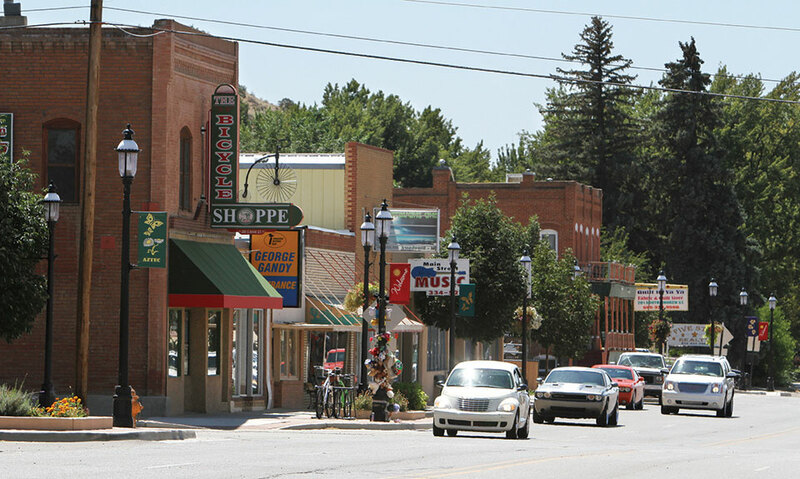 This charming city of nearly 6,500 is the county seat of San Juan County and is ranked in the Top 10 most beautiful cities in New Mexico. Whether you’re strolling along the Animas River or touring the Aztec Ruins National Monument, if you’ve got somewhere to go in Aztec - it only takes a short walk to get there! 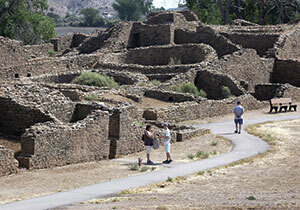 Your walking tour can begin at the Aztec Museum at the north end of historic Main Avenue. An informational guide identifying and describing each of the historic properties can be obtained at the Aztec Museum or the Aztec Visitor Center. Aztec also has the distinction of having 78 structures on both the National Register of Historic Places and New Mexico Register of Cultural Properties. 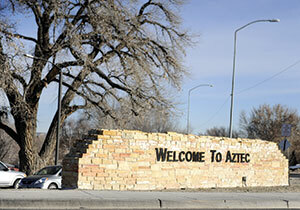 Discover the wide array of homes in Aztec, NM! Historic downtown Aztec is home to some beautiful, more modern early 20th-century architecture. 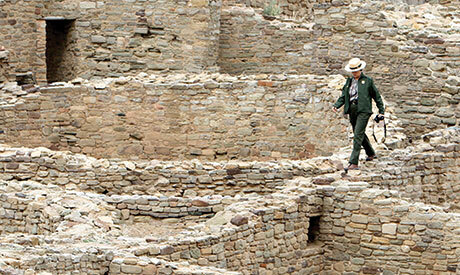 At the Aztec Ruins National Monument you can explore a 900-year old ancestral Pueblo Great House of over 400 masonry rooms & North America’s largest reconstructed great kiva. The Sandstone Arches underscores the ethereal, camera-prompting beauty of the American Southwest, with over 300 archived natural arches & windows located 6 miles from Aztec. At the Museum & Pioneer Village the Aztec Museum complex houses of the finest collections of authentic western Americana. History comes alive at the Pioneer Village, where young & old are bedazzled by the resolve & fortitude of our forefathers. Attention Anglers!!! The Quality Waters of the San Juan River span 4.25 miles of the San Juan River just below Navajo Dam and are among the most hallowed trout fishing waters in North America and ranked a USA Top-10 Fly Fishing Destination. Mountain Biking enthusiasts can consume more than 30 miles of mountain bike trails, including the Alien Run, ranked among the more technically challenging & scenic single tracks in the Four Corners. Routed near an alleged UFO crash site, “the Alien Run” can be navigated by a novice yet is immensely challenging for experts. 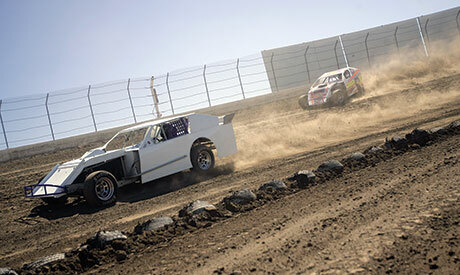 The Aztec Speedway offers IMCA-sanctioned modified, sport mod, hobby and mini sprint stock car racing. Regarded among the Four Corner’s more enjoyable outdoor past times, Aztec Municipal Golf Course is located on a rolling desert plain that offers majestic vistas, exciting elevation changes, bent grass greens and towering cottonwood trees, the 18-hole course is well suited for families, beginners and higher handicap golfers, yet the three-tee, 5,852-yard routing remains an enjoyable challenge even for accomplished players. Purgatory Resort a short drive from Aztec was named North America’s Best Ski Value by TripAdvisor three years running. Here, Colorado’s rugged San Juan Mountains are home to some of the most consistent and abundant snow in the southwest. Base is more than 8,000 feet above sea level, and the summit is nearly 11,000 feet. For Retail therapy, you’ll enjoy perusing the options found at Main Street Music, Abode Furnishings and Bows, BottleCaps & More. And, once you’ve built up an appetite, some of the local favorites include Aztec Restaurant, Beer Belly’s, Rubio’s and Ruby’s. 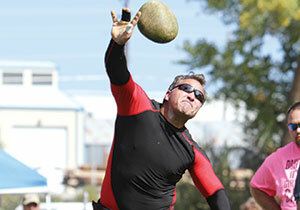 And, should you need more to explore - Aztec is close to the Colorado attractions and recreation!